A high-quality treadmill backed up excellent customer service. Great treadmill for home use! If you are in the market for a good all round treadmill, particularity one that folds, then the LifeSpan TR2000e, reviewed here, should really be near the top of your list. The base model of this treadmill, the TR1200i, has won countless best buy awards over the years, we decide to take a look ourselves. At the risk of repeating ourselves, the TR2000e is very similar to the TR1200i. However the big difference is that the TR2000e has a very nice to use one touch fold system. As always we start at the heart of the machine. The motor will, more than other components, determine the quality of the machine. It also governs the speed and lifespan of the unit. The TR2000e is equipped with a reasonably powerful 2.5CHP motor. This is really the bare minimum you can have for a “running” machine. This will power you upto 11mph, which is just shy of the top speeds achievable by its bigger brother, the TR3000i Treadmill. However you will be paying a further $500 for that power. 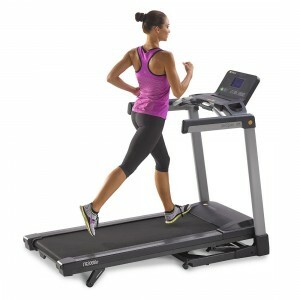 With a generous 20″ x 56″ running surface this Treadmill should be comfortable for users upto about 6′ tall. Any taller and you may have difficulty keeping a long stride length within the confines of the bed. To keep things comfortable, the LifeSpan TR2000e is equipped with a good suspension system. It comprises 6 suspension units that will absorb the impact of your feet at full speed. This will help to minimise injury and joint pain. Further cushioning is provided by the 3/4″ thick running platform, covered in a 2 ply belt. In common with all LifeSpan treadmills this will require a small amount of regular maintenance to keep it in top condition. This consists of applying a small quantity of Silicon Lubricant under the belt. This can be a fiddly job, as the rollers will need to be re-tensioned after. Most users are able to carry out the job themselves in an hour or so. This is a great new feature that Lifespan have introduced, and is unique at this price point. 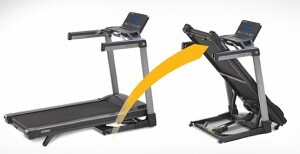 While there have been folding treadmills, this goes one step further by adding a simple button that you press to raise and lower the deck of the treadmill. If you have ever lifted the deck you will know how heavy they can be, plus it can be fiddly locking it away safely. This is completely eliminated by the new system on this treadmill and we love it! With its top speed of 11 mph this should be able to push users of most abilities. If you need a little more effort then there is the choice to change the angle of the treadmill. On the TR2000e the angle can be adjusted from 0 to 15 degrees via buttons on the control pad. This is automatic and can be controlled manually or via one of the built in programmes. 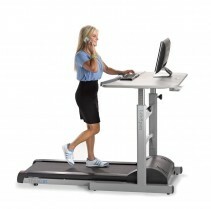 To keep you on track there is a clear and easy to read console fitted to the treadmill. I really like the clear no fuss layout. With its blue LED lights it is easy to look at, even if you are running in a darkened room. The keys have a premium soft touch feel, and gives access to a number of functions: time, calories, distance, steps, heart rate, speed, and incline level Heart rate is monitored via hand holds on the machine, or via a chest strap. You will have to provide your own chest strap if you want to use that feature. however it is compatible with most of the main brands. Finally as part of the console you are able to plug in an iPhone via a jack and listen to music through the built in speakers. To keep the workout interesting there are a number of built in programs. These are have been designed by a top fitness instructor and are ideal for helping you reach fitness or weight loss goals. The 20 programs control both the speed and the incline settings, so you can find the machine moving up and down. Don’t worry if it gets a little steep then you can manually override the position and still keep going with the program. In addition to the preset programs there is also a couple of user programmable modes. These are for heart training, set your target heart rate and the machine will adjust speed and incline to keep you there. 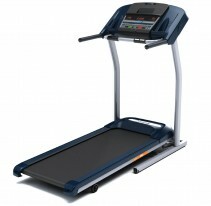 The TR2000e includes membership to the LifeSpan fitness club. This is a great online club that stores and tracks your performance. During each exercise your results are continuously monitored and uploaded to the Fitness Club. This will allow you to monitor your performance and see the improvements over time. Other features I have just about covered everything you need to know. It just remains to point out that there is a good book holder and water bottle holders to keep you hydrated during your workout. Warranty: To keep you machine in top form, LifeSpan offer the following: Lifetime on the frame and motor, 3 years on parts, 1 year on labor. What are other reviews saying about the LifeSpan TR2000e Treadmill? 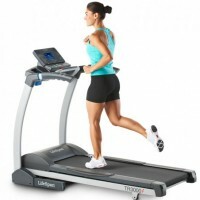 As one of the most popular treadmills in on the market this has recieved its fair share of reviews. Overall it has an impressive 4.3 out of 5 stars from over 130 reviews. 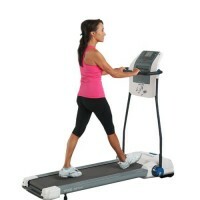 Users liked the treadmill was well featured for the price (for more you are looking at 2x the price!) It is easy to assemble with just one person, taking about an hour. Although it did take a couple of helpers to move the 240lb box into position! Any negatives? Just the one really, the LifeSpan Fitness Club that comes complimentary with the treadmill is valid just of one user, if you want more then you will have to take out a separate membership. Also some of the features of the treadmill mean buying the USB dongle that adds an extra few dollars (although you may have one about the house). What else could I get for $1000? In this article You can find a host of sub $1500 treadmills, and its the LifeSpan that comes out top. Deck suspension system that can support up to 300 lbs. Faced with tough competition lifespan have made a few changes to their old model with a face lift and of course the easy folding system they have made a great and easy to live with machine. While this should be considered more of a jogging machine than a full speed running machine it is well built and performs very well. 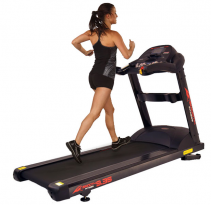 The TR2000e comes out as one of our highest rated treadmills, and trumps the others to lead the $1100 market. If you are in the market for a versatile folding treadmill that is incredibly easy to use then we are happy to recommend the new Lifespan TR2000e Treadmill.